Photos by Nicole Harrig and Nikki Smith. The site map will be available in April 2019. 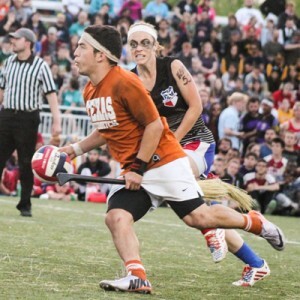 Quidditch is a mixed gender full contact sport with a unique mix of elements from rugby, basketball, and dodgeball. A quidditch team is made up of seven athletes who play with brooms between their legs at all times. 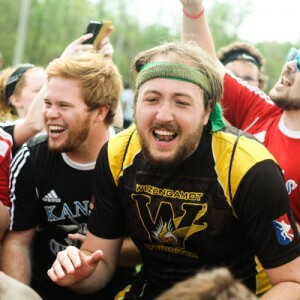 While the game can appear chaotic to the casual observer, quidditch is an exciting sport to watch and is even more fun to play. For more information, including the official rulebook, please visit the US Quidditch Rulebook page. Round Rock, The Sports Capital of Texas, is the premier destination for amateur, youth, and recreational sports in the state of Texas. They are thrilled to play host to Quidditch Cup 12 at their new Round Rock Multipurpose Complex in April 2019. Comprised of five artificial turf fields and five natural grass fields, the Multipurpose Complex is one of many tournament-class facilities that make Round Rock the ultimate place to host a variety of sporting events. Check out SportsCapitalofTexas.com for more information and to plan your visit to Round Rock. For more information about USQ, visit our website. 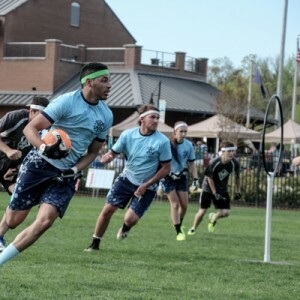 To learn how you can host the US Quidditch Cup in the future, please see our event bidding page here.